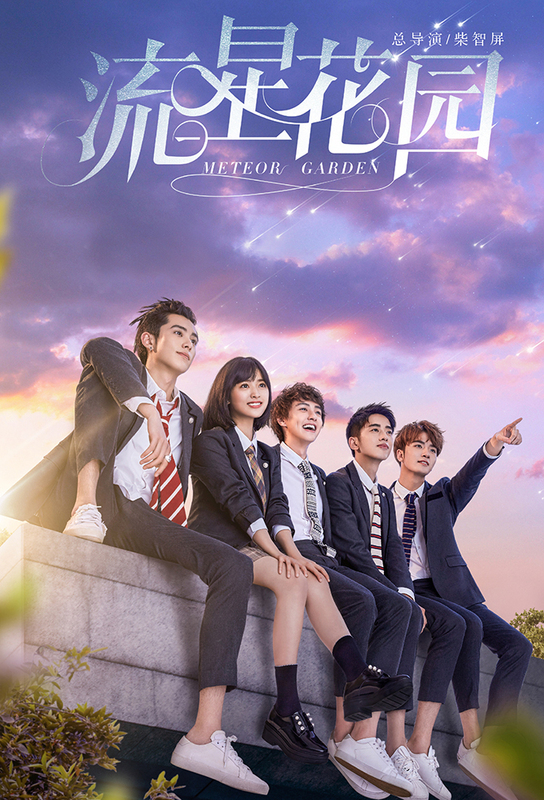 Eighteen-year-old Shancai kicks off her first year at Ming De University with misadventures, drawing the ire of popular school heartthrob Daoming Si. After Shancai turns down his condescending offer, Ah Si deals her friend Qinghe a Joker card. Ah Si and Huaze Lei come to blows over Shancai. Shancai sees a different side of Ah Si when he visits her at her family home. In Sanya, she overhears Lei and Tengtang Jing discussing their past. Shancais nosy classmate shows Ah Si a video recording and causes a heated confrontation, turning Ah Si into Shancais worst nightmare. A photo of Shancai surfaces online, making her the target of public humiliation. Ximen Yan and Feng Meizuo track down the origin of the posting. Lei returns from France a changed person and confesses to Shancai hes heartbroken about Jing. Shancai realizes shes not over Lei. Ah Si is determined to shut Lei out of the F4. Shancai is deeply moved by Daoming Zhuangs stories about Ah Si as a child. A heated game of bridge pits Shancai and Lei against Ah Si and Meizuo, but Ah Si forfeits at the last minute. Shancais dad makes a bold career move. Before going to London, Ah Si makes a scene at Shancais workplace. Tian Ye is about to lose his shot at becoming head chef, but Shancai saves the day. Shancai learns Tian Yes real identity. With Ah Sis encouragement, Shancai joins a culinary competition to win a cash prize and help out her family. Under Zhuang and Ah Sis guidance and encouragement, Shancai refines her cooking skills for the competition -- but she faces a formidable opponent. When Shancai panics in the final round, Ah Si gives her motivation to make a Shanghainese dish with a creative touch that impresses the judges. Business soars at the tea shop, thanks to Lei, Ximen and Meizuo, giving Shancai a chance to holiday in Canada, where she and Ah Si continue to bicker. Ah Si braves the storm in search of Shancai. Despite their wrongdoing, Shancai comes to Xinhui and Baihes aid when they face expulsion from the lodge. Jing calls Lei with unexpected news. Jealous Ah Si sabotages Shancais reunion with friends and scuffles with her old classmates brother, Yan Shunping. Shunpings ulterior motives come to light. Shancai taunts her abusers, praying that Ah Si doesnt come to her rescue and put himself in danger. Shancai arrives at Ah Sis upper-crust birthday celebration, where an incident pits Ah Si against his mom, whos keen on humiliating Shancai. Daoming Feng arranges a date for Ah Si and invites Shancai to watch, but her antics backfire, and prospective match He Yuanzi befriends Shancai. Ah Si reluctantly agrees to meet with Xiao Zi, but his heart still belongs to Shancai. During an incident at the spa, Lei rushes to Shancais aid. A misunderstanding leads Shancai to believe Ah Si and Xiao Zi are an item. Daoming Feng and Shancai engage in another heated confrontation. Shancai fulfills her cleaning duties as Ms. Yu lays down the law around the house. Ah Si asks Shancai to give their relationship a chance for one month. Jiang Xiaoyous boyfriend shows his true colors, and Ah Si storms out of the double date in anger. Ximen offers to help Xiaoyou get back at her ex. To ward off Terence, Zhou Caina calls Meizuo for a date. Arriving home unannounced, Daoming Feng spars with Ms. Yu, who firmly defends Shancai. Meizuo runs into Terence at Cainas house. Lei warns Shancai that Daoming Feng will resort to malicious maneuvers to strike at her closest friends. Daoming Feng leaves Shancai no choice but to cave into her demands. Caina finds the architect her father seeks -- and its someone she knows. As Shancais whereabouts remain unknown to her friends, Ah Si shuts himself in. Shancai considers a business proposal from her familys landlord. When Ye Mingchuan accepts a globe-trotting job offer, Caina faces a dilemma. Lei stumbles upon a video of Shancai selling squid at her bustling stand. Meizuo confesses his selfless, unrequited love for Caina and urges her to go after Ye Mingchuan. Ah Si confronts Shancai, who gives back his necklace. Shancai confesses to Ms. Yu her true feelings toward Ah Si. With his violin, Lei makes a public display of his affections for Shancai. After Ah Si announces he wont give up on Shancai after all, Lei tests Ah Sis resolve and asks Shancai to turn off her phone for 48 hours. Ah Si and Shancai decide to turn over a new leaf. A band of suited men follow Shancai home, and Meizuo suspects theyre linked to Daoming Feng.